Business owners have lots of options to consider when building in-house teams to handle administrative functions. Depending on the structure of your clinical services, you might need to hire everyone from a receptionist and office manager to insurance billers and contract managers. 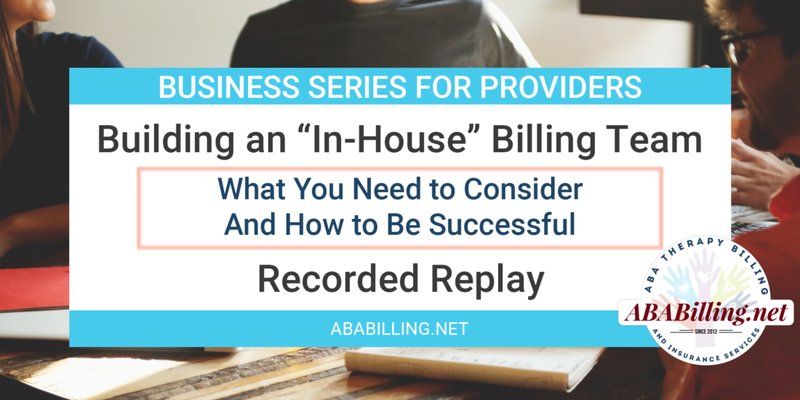 This webinar covers the points to consider when thinking about keeping your insurance billing functions in house, and how to build a team that can be successful.